Having travelled around Australia “temping” with many organisations along the way, before embarking on a career as a secondary school teacher, Top Office Personnel Pty Ltd was founded in 1989 by Jan and John Gadsden, as a result of these experiences and what seemed like a “gap” in the marketplace in the Ipswich Region. Jan and John Gadsden celebrating the opening of 9 Darling Street with the Honourable Matt Foley. We were the first privately owned recruitment agency and training academy to establish in Ipswich (gaining national recognition of our training programs in 1989). Jan and John recognised very quickly that recruitment and training work hand-in-hand and really add value to one other; and our approach has always been to offer genuine value to our clients, through combining proven recruitment processes that attract and retain high-calibre staff, with targeted training to meet their needs. In 1993, we renovated our “big old Queenslander” at 9 Darling Street in Ipswich to accommodate growing student numbers in the academy (average of 60 students coming in everyday). 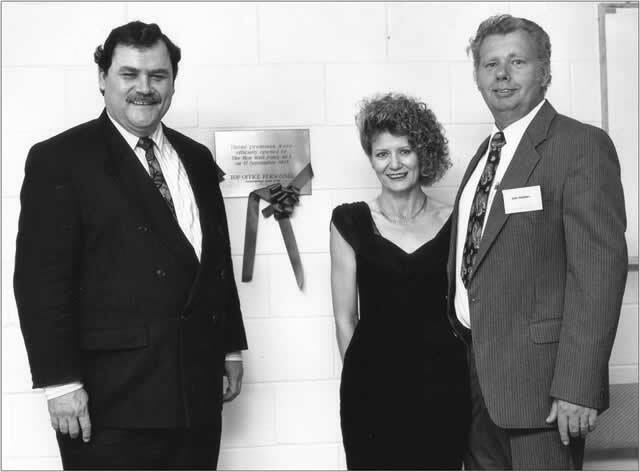 Then in 1995, we were excited to be selected as a Preferred Supplier of Recruitment Services to Queensland Government across both the Brisbane and Ipswich Regions on the inaugural arrangement, and opened our branch office at 621 Coronation Drive, Toowong. We are extremely proud to be a Queensland Business supplying to Queensland Government. Equally, we take great pride and are extremely grateful for the opportunity to work with organizations such as Ipswich City Council, Bendigo Bank and our many small, medium and large clients that have worked with us over many, many years, forging long-term mutually beneficial relationships. Since our inception, we have continually strived to be an innovative leader within our fields with a focus of being experienced, knowledgeable, ethical and effective within our industry specialisations. 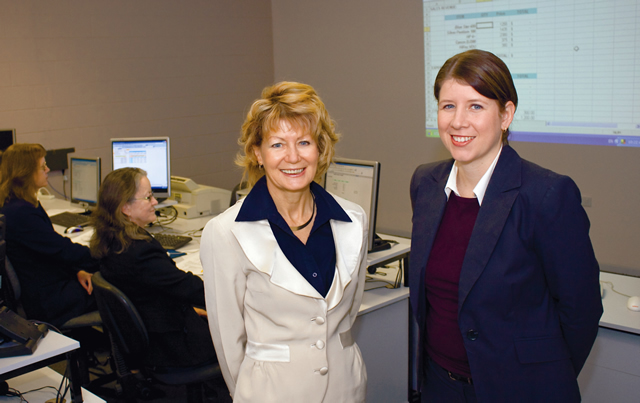 Skills at Top was one of the first training organizations to provide E-Learning in 2001, after a three year transition process. The advent of greater flexibility enabled our students to study anywhere, anytime and extended our reach of enrolments from our core base in the western corridor to both state and national enrolment intakes. In 2003, after 10 years working through all aspects of the business, Belinda Hermann was appointed as a Director and General Manager of business operations and our company embarked on leadership under the second generation. As a business, we sponsor local industry and are committed to making a meaningful contribution in the communities in which we operate. We give back through sponsorships (including the annual Ipswich Festival and sporting awards) and ongoing involvement with the Ipswich Chamber of Commerce, Ipswich City Rotary and many other diverse networks. We have had challenges along the way (recessions, flood water to the ceiling in 2011), however, our accomplishments far outweigh this. This business has provided us with the opportunity to play a part (either through recruitment services or training) in the advent of many successful careers and we are proud of the reputation that we have garnered with job seekers, graduates and clients alike. A new business begins with the founder’s vision, however, it is the ability to deliver and continually communicate the purpose, principals and values that enables a business to prosper. We believe in innovation, we maximise our resources and we are committed to the community we live in. Our ability to live these values, change with the times and continually lead the way in new training and recruitment systems has positioned us as a highly successful organisation with over 29 years history of growth and diversification. It’s not just what we do, but how we do it that makes us unique!